Abstract Expressionism emerged out of despair – out of the Depression, the war, Hiroshima, the Holocaust – and out of the hope of redemption. It emerged out of the driving ambition felt by some of the great American artists of the 1940s and 1950s to create a new world out of the ashes of the old – and out of a conviction that art could change the world. Inspired by the European surrealism, which it spurned, it put the New York art scene on the world map. And it was highly individualistic, with the artists intent on self-expression and self-transformation as well as on the transformation of the world. If the quality of the work exhibited at the riveting Abstract Expressionist New York show that opened Saturday at the Art Gallery of Ontario is one kind of surprise, its family feel is the other. Both have a lot to do with the fact that the show is on loan from New York's Museum of Modern Art, which was from the start itself part of the AbEx story, not to mention that MoMA director Glenn D. Lowry was director of the AGO for a five-year period in the early nineties. The family feel comes from the vivid sense of a movement, even quite literally of clubbiness that comes from the "Club" where artists and hangers-on congregated in a loft on East Eighth Street. Individual as they were – they include Arshile Gorky, Jackson Pollock, Willem de Kooning, Lee Krasner, Barnett Newman, Mark Rothko, David Smith, Clyfford Still, Robert Motherwell, and Philip Guston -- and very different as is their work, they also knew each other and were keenly aware of themselves as a group. Iconoclastic in their work, they could muster more respectability than we now expect of our great romantics. Aside from the cigarettes in some of their hands, the most eye-catching feature of the 1951 Life magazine photo of them as “The Irascibles” is that all but one of the artists are men in suits and ties; the sole exception is Hedda Sterne, the woman in the photograph, wearing a neat cloth coat and hat. Sterne was not the only woman in the group, and the show pays attention to Helen Frankenthaler, Louise Bourgeois, and Joan Mitchell -- who moved to Paris in the 1950s where she was the partner of Quebec artist Jean-Paul Riopelle – as well as Krasner. The flavour of the time is nicely suggested by Pollock, Newman and Rothko, whose work is especially well represented here – and by a 1951 film showing Pollock working outside his Long Island home. This short film (it was shot outdoors because the filmmakers, Hans Namuth and Paul Falkenberg, could not afford lighting) is the High Noon of the art world, and Pollock is the Gary Cooper of artists. Tall, lean, and handsome, he first changes into a pair of paint-spattered boots and then studies the canvas on the ground in front of him, before picking up a pot of paint, giving it a stir, and getting down to work. Abstract Expressionist New York opened Saturday May 28 at the Art Gallery of Ontario. It closes Sept. 4. If you go, why not stop in the AGO at Frank’s, which has a wide-open kitchen, a nice range of brunch and lunch fare. The Toulouse sausage was served with sauerkraut, the perfect mustard, and an inspired rye bread pudding. Then head on up to the Royal Ontario Museum to see the work of Canadian photographer Edward Burtynsky. “Oil” is a knock-out exhibition. In these large-format photos of compacted oil drums, oil sands, shipwrecking, and a cemetery for dead helicopters, clarity and freshness vye with dystopian doom. It looks post-apocalyptic, but it’s not; this is the world in which we live. The Roloff Beny Gallery, Level 4. 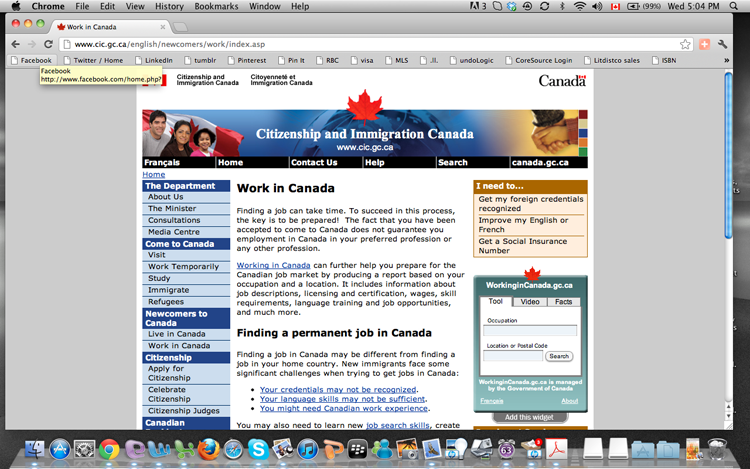 Until July 3, 2011.